Astronaut Jack Swigert uttered that famous statement on April 13, 1970, when problems became apparent during the failed Apollo 13 mission. 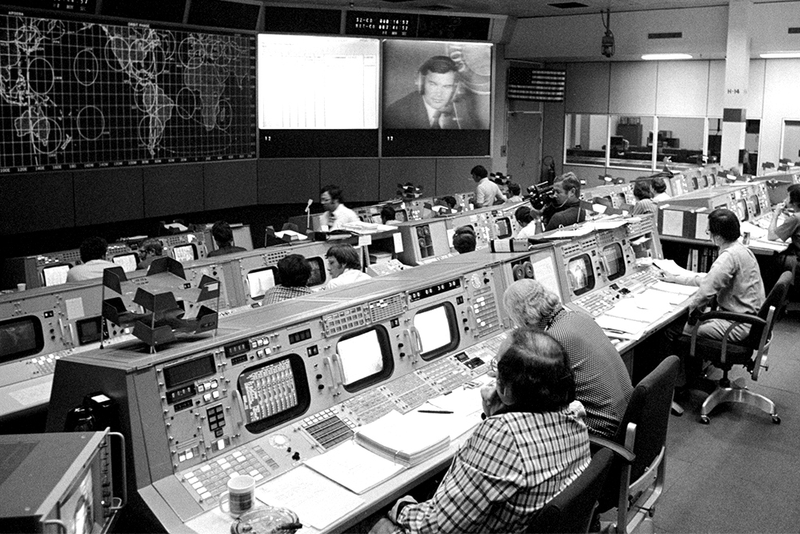 Members of NASA’s Mission Control Center in Houston immediately went to work to figure out what happened and ultimately saved the lives of the crew. Since the space age began, spacecraft and their crews have been communicating with ground stations via radio. Now, University of Virginia engineering students are about to join that tradition with their own ground station for tracking a small spacecraft of their own design. The station will allow student engineers to track and collect data from their craft, scheduled to be launched into orbit in late 2018 aboard a NASA-sponsored rocket as part of an International Space Station resupply mission. The student-built spacecraft, shaped as a cube about the size of a softball, will be part of a joint mission with other Virginia universities to conduct atmospheric density studies, which will help NASA better understand the rates at which low-orbiting spacecraft slow down and ultimately descend back to Earth when encountering the “drag” of the outer edges of our atmosphere. The craft, called a CubeSat (for cube-sized satellite), will be the first developed and flown by UVA. Assembly and testing will be completed this summer. It is one of three satellites in a “constellation” that are being designed and built by students at UVA, Virginia Tech and Old Dominion University through the Virginia Space Grant Consortium. Hampton University also is collaborating. Each university will operate its own ground station, and students will communicate with each other throughout the mission. They also are collaborating on many other aspects of the project. Mitchell is a member of the data and communications team, which is writing software for the UVA CubeSat and will operate its radios. He and fellow student Tyler Gabriele studied for and obtained amateur radio technician licenses so they can begin testing radio setups. Other students also will earn licenses as the project develops. Goyne’s group recently began work to construct the ground station, with assistance from the UVA Amateur Radio Club. The mini-satellite is being designed to accommodate a small UHF radio that transmits in the amateur radio band. The station will transmit instructions to the craft as it passes over from horizon to horizon, and also receive scientific data from the craft. The ground station will communicate with other satellites in space, and possibly with crew members aboard the International Space Station. The Amateur Radio Club will provide technical expertise and assist in the operation of the ground station. UVA’s CubeSat is a multi-year project, passed down to each succeeding group of fourth-year engineering students as part of their final projects. It began in 2013 when students launched a test craft via high-altitude weather balloon. Everything learned then, and since, contributes to the overall growth and development of the program. Goyne’s spacecraft design class will hold an exhibit Saturday, from 9 a.m. to 3 p.m. on the second floor of the Mechanical Engineering Building during the annual Open House of the School of Engineering and Applied Science.